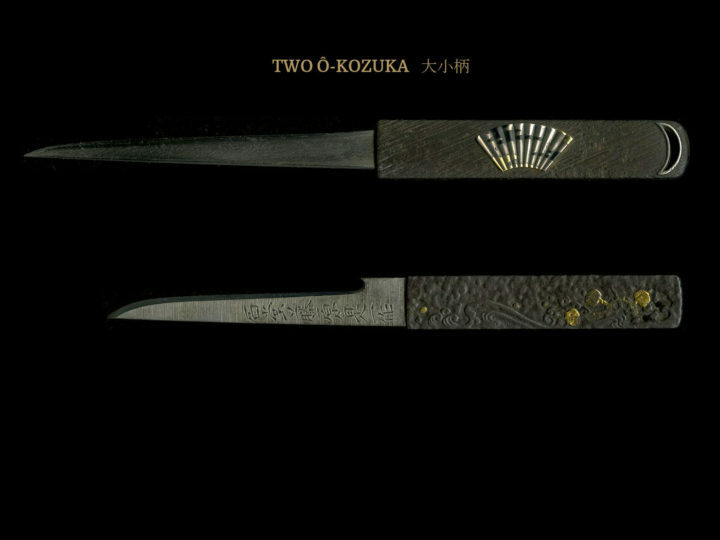 The image below shows two Ko-Kinko ô-kozuka. The first one is large measuring 4 3/4 inches by 3/4 inches. It is made of shakudo with an inome (boar’s eye) carved near the end. 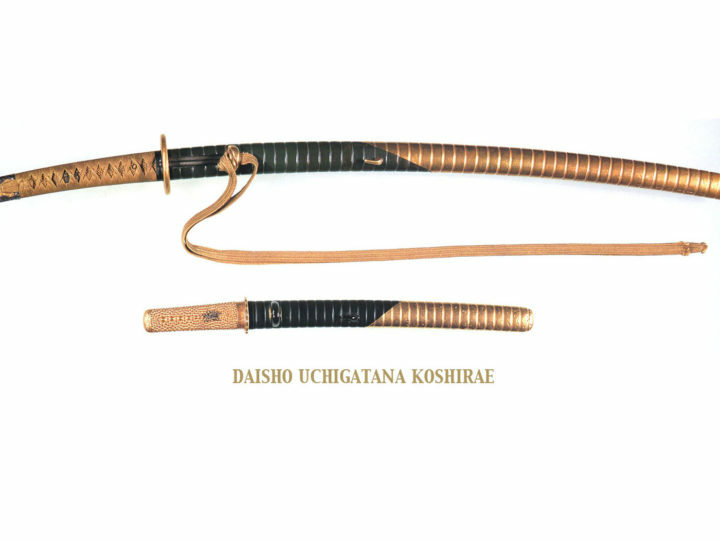 The end with the opening for the ko-gatana blade has a polished shakudo fitting that has been delicately incised with tendrils. It also has an inome carved through it. 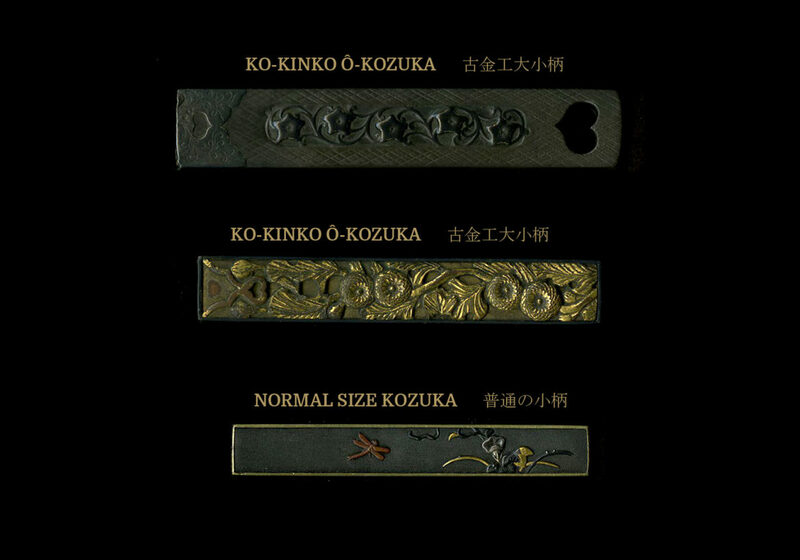 The body of the ô-kozuka has a carved panel depicting five bell flowers on their vine. 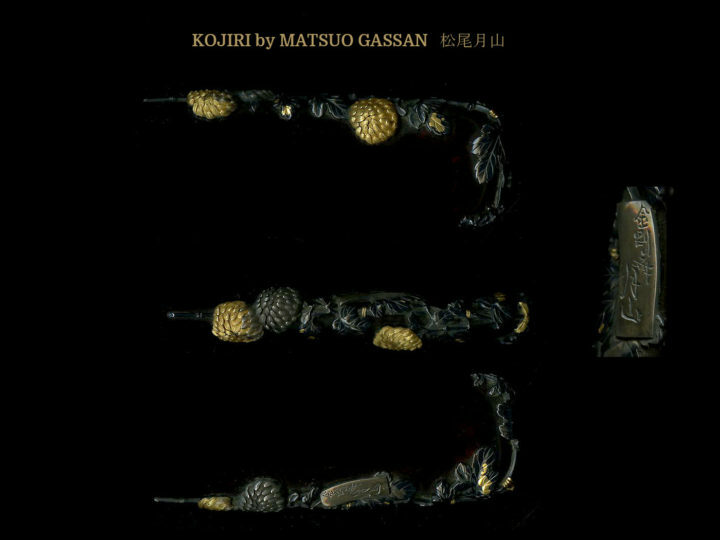 This ô-kozuka dates to the end of the Muromachi to the beginning of the Edo period (late 1500’s to very early 1600’s). 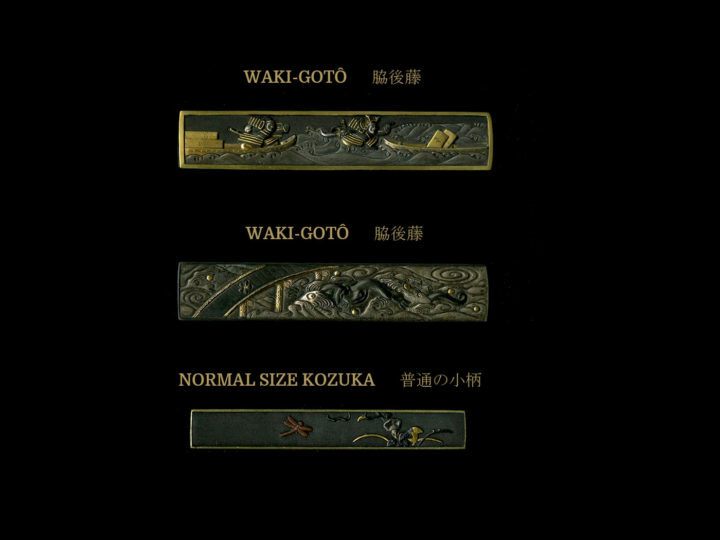 The second ô-kozuka dates to the Muromachi Era (1400’s-1500”s). It also has a shakudo plate. This one, however, was made by inserting into the shakudo plate a panel of gilded Eda Kiku (branch chrysanthemum) flowers. It looks to be a part of a fitting from a very old set of armor that has been re-purposed and made into this beautiful ô-kozuka. There is some wear to the gilding near the mouth of the piece from years and years of use. It measures 4 5/16 inches long by just a hair under 3/4 inches wide.